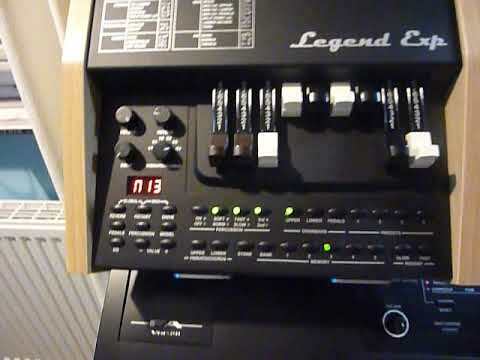 The Viscount Legend Expander. Theres nothing on the net/youtube at all really - certainly not 3 weeks ago when I was looking so I thought Id do something to get it out there. Lets be clear (I say it in the video) I a,m NOT an organ player, I can hardly handle any keys.... Im a guitarist. I took up keys (piano initially) 15 months ago when I turned 50 as an "old age" project,. It is what it is. An overview, and some playing for sound. I'd also say that you're a far better keyboard player than you suggest. I'd love to be able to play half as well as you do! Thanks. Regards skill levels, i never feel im that good, even on guitar after 30 years. I guess it depends on the qualitg of plsyers you play with.